**Classes and Question Bank Practices are offered at our "state of the art" facilities at our institute locations. ***Unlimited Free Repeat Policy valid for 5 years from date of your enrolment in our course. You are serious about taking live lectures and classes at pharmacy PREP but you live far from our campuses in Canada and overseas. 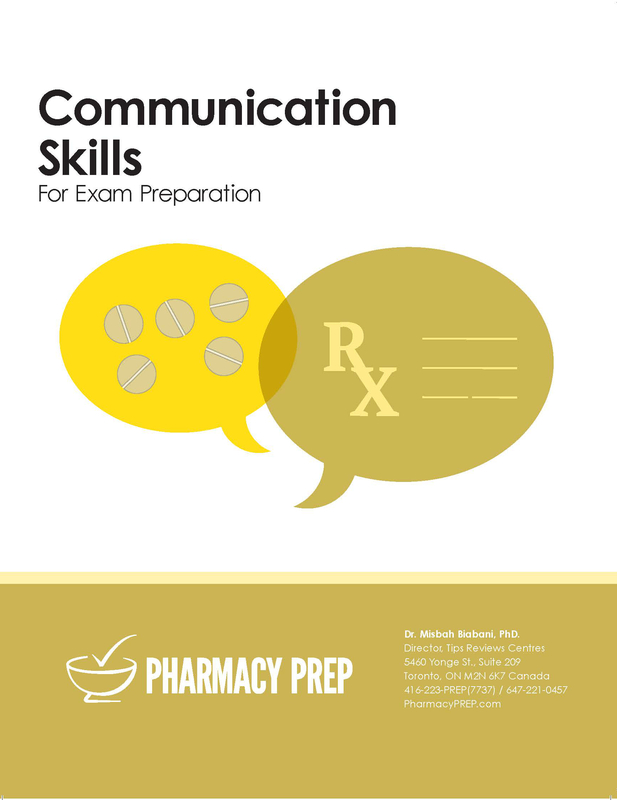 The pharmacy PREP offers you on-line plus home study. 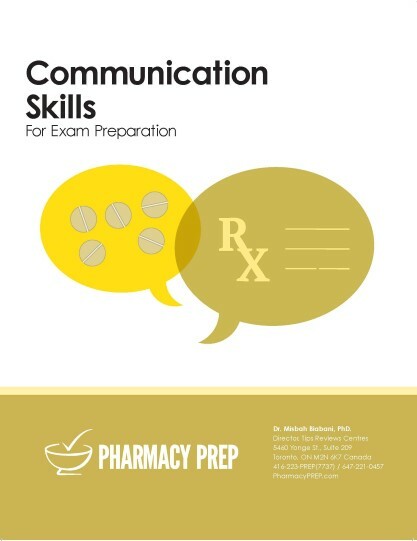 It includes Nine competencies pharmacy PREP home study books plus on-line access of recorded lecture on all 150 chapters of review books from all 7 competencies. The best part of home study plus on-line program is, it provides access to our proprietary on-line exam prep station. We post all updated class lectures so you can watch them whenever its most convenient to you. But that's not all if you need to go over important concepts presented in animations in several chapters. You can review any lecture as often as you want whenever you want. It is great way to repeat what you have learned. The most exciting part is "Q.Alerts" points to the possible questions from each chapter of books. 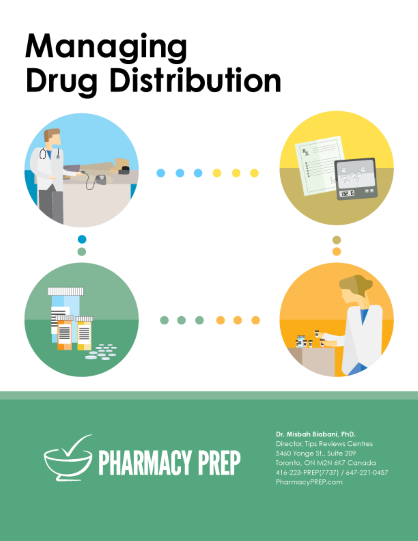 The ultimate part of the home study package provides you on-line access the pharmacy PREP Q Bank and Tips. The Test yourself is method testing and analysing your readiness for real exam. The coolest option of home study plus on-line students can create a profile where you can login into your profile can contact and interact with our instructor for clarification of your Questions. Why Misbah online plus home study course? Recorded Lecture On-line videos (In Class experience at comfort of your home). 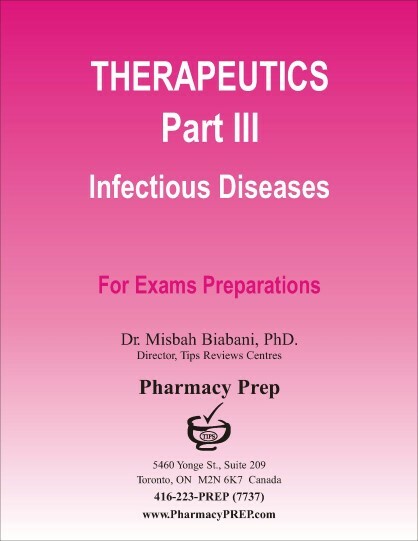 For more information please take on-line tour at misbah pharmacyprep website. Misbah 100% committed to get real success. 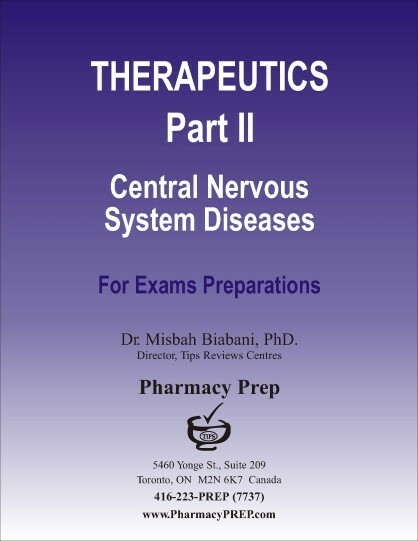 Lecture series and a complete resourceful guide that covers Pharmaceutical Care, Therapeutics. 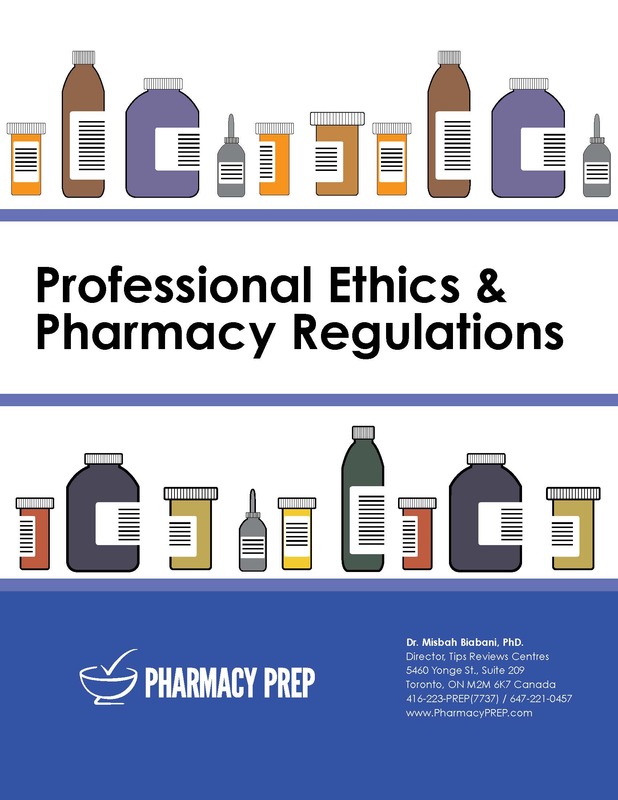 Pharmacy Ethics & Law, Pharmacy Information Sources, Pharmacy, Pharmacy Communication Skills, Managing Drug Distribution, and Pharmacy Practice Management. Drug Related Problems (DRPs), and high yield summaries, Case scenarios to prepare pharmacy qualifying exams. 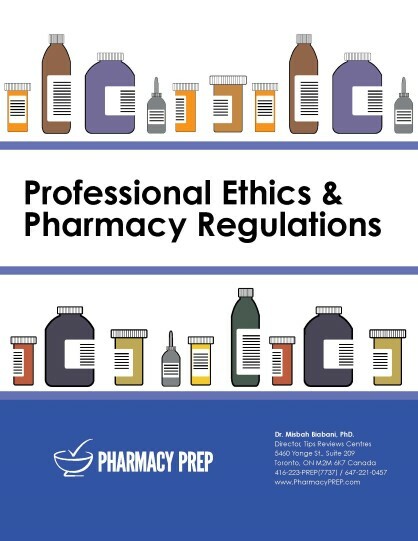 Lecture series and a complete resourceful guide that covers key topics of ethical standard in pharmacy practice, Federal Regulations, Food Drug Act (FDA), Control Drug Substance Act (CDSA), National Association Pharmacy Regulatory Authority (NAPRA), Regulations of Narcotics, Narcotic Preparations, Benzodiazepine Regulations, Control Drugs Regulations, and high yield summaries to prepare the pharmacy qualifying exams. 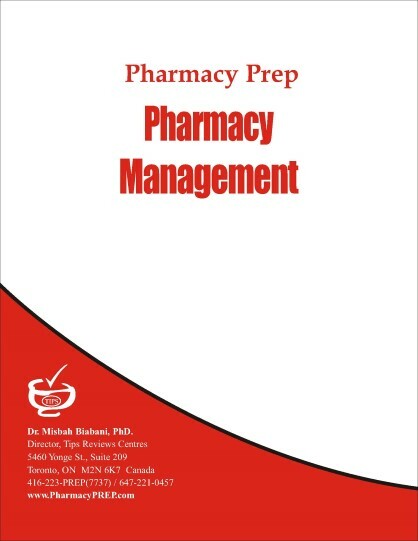 Lecture series and only reference book available in Canada for Drug Information Resources, It covers key topics such as Basics of literature, Peer review process, Pharmacy information resources, Evaluation of clinical studies, Evidence Based Medicine High yield summaries to prepare the pharmacy qualifying examss. 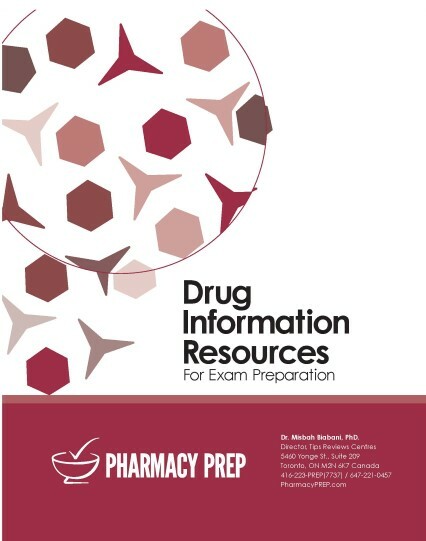 Lecture series and only reference book available about pharmacy drug distribution. 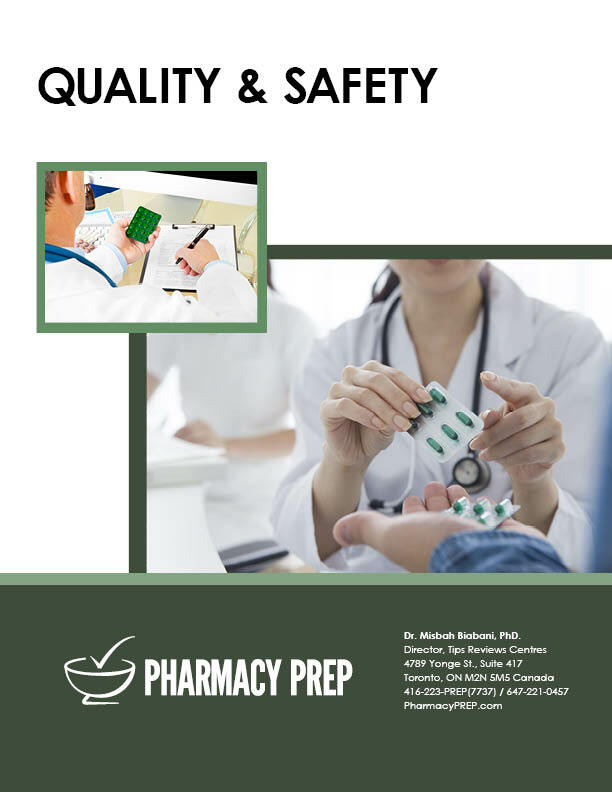 It covers key topics such as pharmacy calculation, Sterile preparation, Parenteral preparations; Pharmaceutical storage conditions and high yield summaries, Case scenarios to prepare pharmacy qualifying exams. Lecture series and a complete resourceful guide that covers Therapeutic management, Drug Related Problems (DRP) of cardiovascular diseases, and high yield summaries, Case scenarios to prepare pharmacy-qualifying exams. Therapeutics Part II- Psychiatric and neurological diseases. 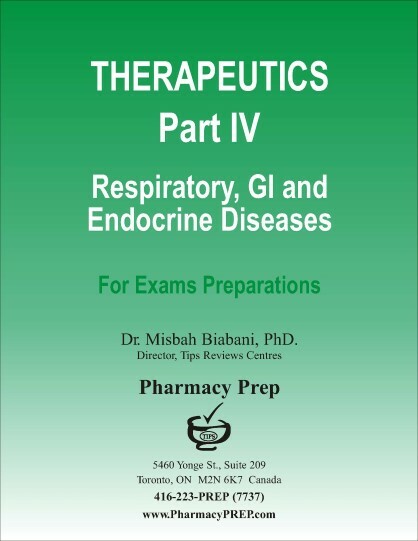 Therapeutics Part IV- GI Diseases, Respiratory Diseases, Musculoskeletal drugs, Cancer chemotherapy and OTC drugs. 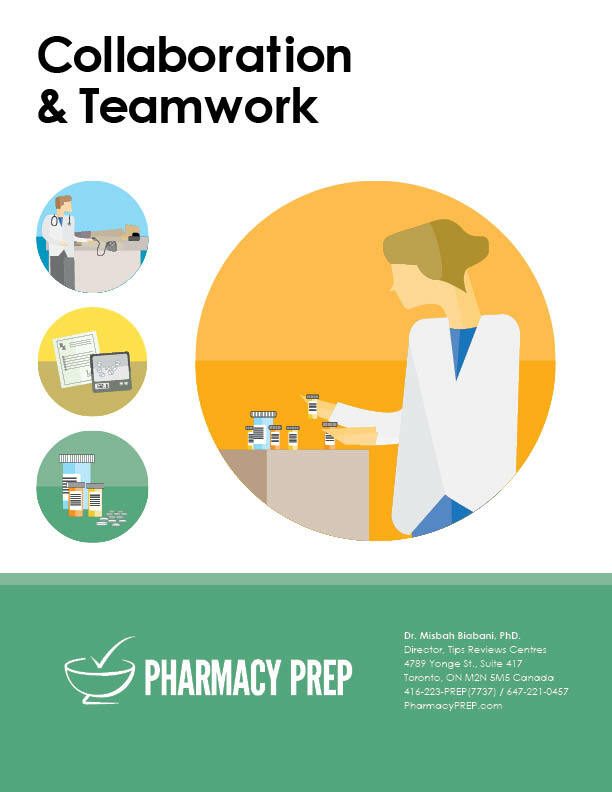 Lecture series and a complete resourceful guide that covers pharmacists work in collaboration with the pharmacy team and other health professionals to deliver optimal patient care. This book is based on reference NAPRA competency 6 intra and inter professional collaboration (6%). Lecture series and a complete resourceful guide that covers policies, procedures and activities that promote quality and safety. Presented high yield summaries and case scenarios to prepare pharmacy-qualifying exams. This book is based on reference NAPRA competency 9 Quality and Safety (5%). 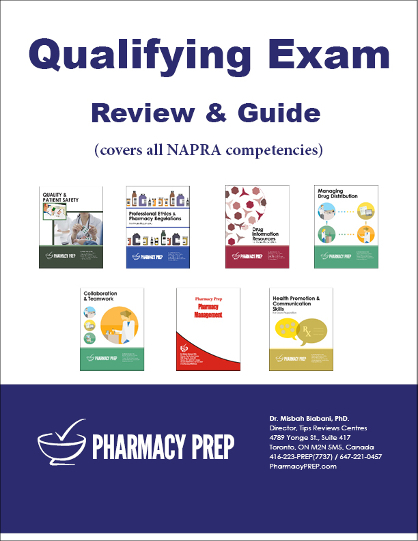 Pharmacy prep offer Super Crash Course for last minute Qualifying Exam (MCQ) Prepeation and revision. Crash Program comprises of 5 days sittings and covers all syllabus for Qualifying Exam (MCQ) in a nutshell. Super Crash Program is offered at our Toronto location.